David Wilk is a lifelong funny man and my former boss. His comedy theater opens in February. I giggled when my husband showed me a tweet reading “getting biked is now the new TP” above a picture of 14 LimeBikes lined up in a Lakewood yard on Christmas morning. I full-on LOLed a couple days later when my husband texted me the link to a WFAA-8 news story in which Lakewood resident David Wilk sat in his kitchen denying any knowledge of the prank and professing his love for LimeBike (“You can pick ’em up anywhere and you can drop ’em off anywhere. How great is that!? Sometimes, they’re all in bunches,” is what he told the news station). 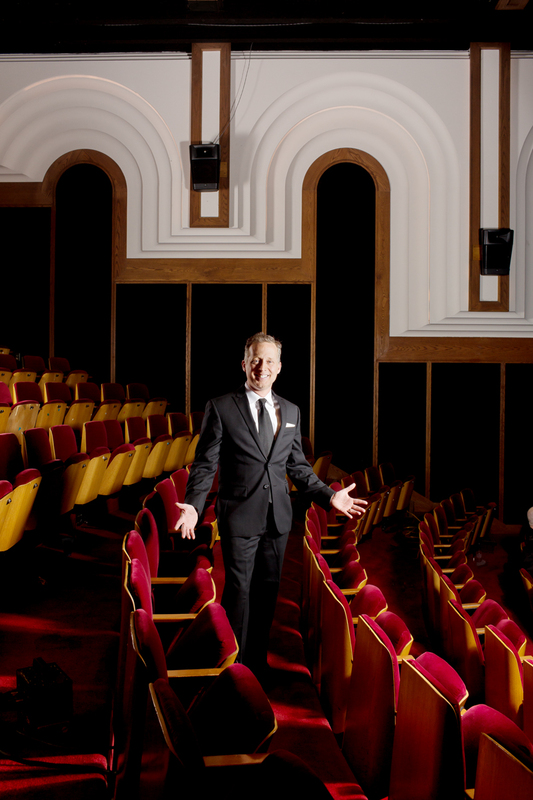 David Wilk, co-owner of Four Day Weekend, in the troupe’s Fort Worth theater. David Wilk, you see, was once my boss. For the few years I ran the box office at Four Day Weekend, I talked to him nearly every day to give him that weekend’s audience count (“What are the numbahs?” he’d ask) and hear about whatever gig he had just booked (“You’re busier than 50 Cent!” was my usual line). In fact, if I dropped my phone in a puddle today, I wouldn’t have a clue how to call my mother, but could definitely dial Wilk’s digits blindfolded. I recounted my experience at Four Day Weekend—and getting pushed out of a car for the sake of a sketch—in last year’s March issue, when the improv comedy troupe celebrated 20 years on stage. I caught up with Wilk a couple nights ago, and while he’s still not making any admissions in regard to the 14 share bikes parked in his friend’s yard (at least, on the record), he did tell me about Four Day Weekend’s latest news: the Fort Worth institution is opening up a second location in Lower Greenville. They’ve already gutted the former Contemporary Theatre of Dallas space (on Sears Street, behind Trader Joe’s) and soon it will be transformed into a comedy lounge with shows every Friday and Saturday. Call 817-226-4329 for tickets to their February 3rd Dallas debut. David Wilk recommends riding a LimeBike over there.